Melt the butter in a large saucepan. Add the onions and cook over low heat for 50 minutes, stirring frequently. The onion should turn golden brown, be very soft and begin to caramelize, which gives this soup its rich golden colour and deep flavour. Add the garlic along with the flour and mix well to allow the flour to absorb the excess butter, making a roux. Slowly pour in the stock and wine, stirring frequently, then bring the soup to a gentle simmer. Add the bay leaves, thyme leaves, salt, and pepper; cover with a lid and leave for 40 minutes over low heat. Five minutes before serving, add the parsley to the soup and stir it in. Toast the slices of baguette and top with the cheese. then broil the toast until the cheese is melted. 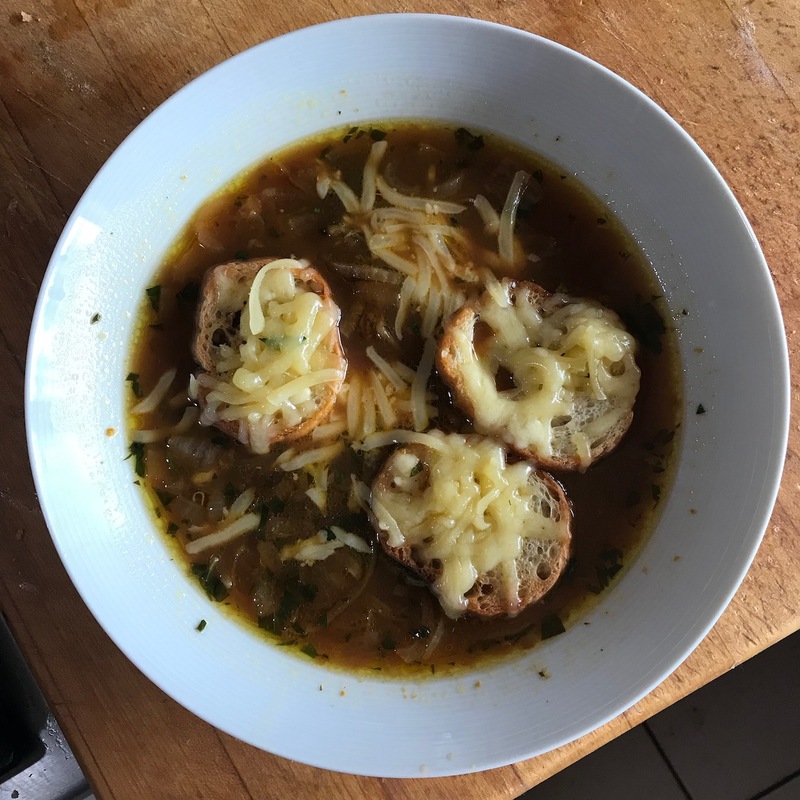 Serve the soup in wide bowls, topped with the cheesy toasts.